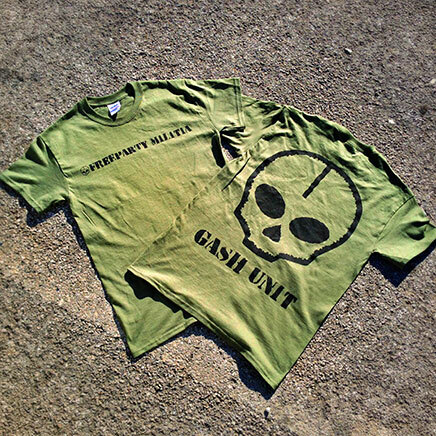 We are currently selling GASHcollective Heavyweight military T shirts. Front and back print - NATO green. Noun: "A civilian military force that engages in rebel activities"
All proceeds to future freeparties. Support the scene - wear the shirt - represent.